After the appointment of the new Army Chief, leaders of some opposition parties have questioned the Government’s decision as seniority principle was bypassed, which by the way has happened in the past under other governments. One critic who is close to the Congress party even went on to suggest that one person had been bypassed as he belonged to the minority community. Luckily others spoke in favor of the government. The government appointment seems to be based on the current and future threats – the biggest of which is in J&K and the Pakistan border. 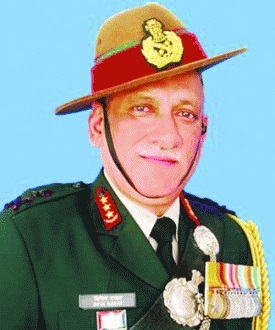 Lt. General Bipin Rawat was appointment as he has enormous experience as an infantry officer, in counter-terrorism, and along Line of Control. This is the need of hour given the ongoing terror issues in J&K and army deployment in J&K and Line of Control.